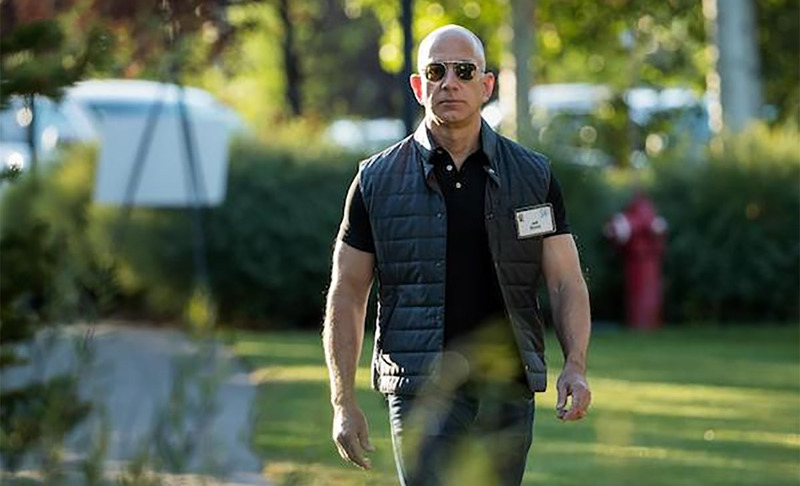 It must be amazing to be Jeff Bezos – the richest man in the world – and we think we would probably pay a princely sum to try and walk in his shoes for a day but alas, we will just have to make do with watching from afar. The Amazon CEO is currently at the invite-only MARS conference, with MARS standing for Machine learning, home Automation, Robotics and Space exploration and yes, that sounds amazing. 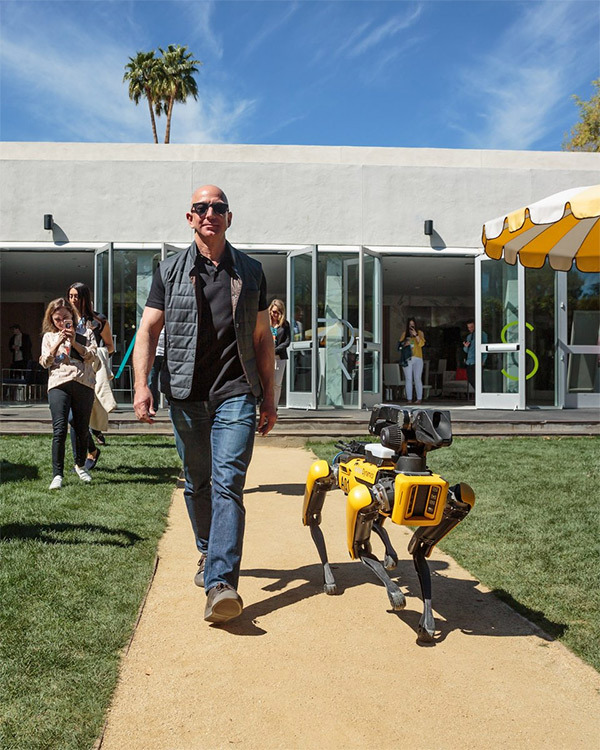 So amazing that Bezos was able to share a photo of him walking a new dog – a Boston Dynamics SpotMini robot. This is not the first time that Bezos has managed to generate a headline during the MARS conference. At last year’s gathering he was able to pilot a 12-foot robot, built by Hankook Mirae Technology. This year’s excursion was much less energetic, but the appearance of what looks scarily like a killer robot dog is sure to have plenty worried about the forthcoming robot uprising the likes of which will make the Terminator movies look like a Disney fantasy. Or not. Hopefully, anyway. Joking aside, there can be no doubt that the work Boston Dynamics is doing continues to be hugely interesting, and we still find it somewhat amazing that these dogs are able to do the things they do. In fact, it’s amazing they can even stand up let alone do anything else. A search of the #MARS2018 hashtag on Twitter shows some amazing photos and videos of what is going on at Amazon’s conference right now. He prolly did this on a Monday. Must be nice. I work at amazon fulfillment in TN and he pays his employees horribly. We haven’t seen a raise in over a year now. Automation is also starting to replace us in the warehouses around the country. It’s insane how greedy the guy is. Once you hit over half a billion then you can afford to give a raise or at least a better working environment. I heard folks at amazons warehouses are treated poorly. You have to move up the ranks into the corporate office. Are you serious, you talk about not getting a raise but you probably already make 16 bucks an hour. I make 7 25 stop bitching. lol what entitles to a raise every year? Also, if your job is easily replaceable like you say, why would they pay you more? Get an education and make yourself more marketable. I have an associates in computer science, don’t even get me started. You’re obviously ignorant in many ways. I make $13 an hour and the only way he gets away with paying us so little is he considers us “retail” instead of “warehouse workers”. I guarantee you I work twice as hard if not 3x as you do! What makes you think that he’s ignorant in many ways? Clearly you are. In the real world, no one gets a pay raise every year and no employer anywhere pays more than they absolutely have to. The only way to convince them to do so is to educate yourself and make yourself more marketable.